MTilgner updated the task description for T4073: Missbehaviour in Cyrus or Kolab itself on handling shared folders and other users elements. MTilgner renamed T4073: Missbehaviour in Cyrus or Kolab itself on handling shared folders and other users elements from Misbehaviour in Cyrus or Kolab itself on handling shared folders and other users elements to Missbehaviour in Cyrus or Kolab itself on handling shared folders and other users elements. MTilgner raised the priority of T4073: Missbehaviour in Cyrus or Kolab itself on handling shared folders and other users elements from 40 to Normal. MTilgner created T4073: Missbehaviour in Cyrus or Kolab itself on handling shared folders and other users elements. jh23453 added projects to T2735: new error messages after recent cyrus update: Cyrus IMAP, PyKolab. machniak added a project to T2525: Non-ascii message body IMAP-search doesn't work: Cyrus IMAP. I can confirm that. In my test it does not find messages even if they use UTF-8/8bit encoding, i.e. no decoding is required. Maybe squatter handles that better, I don't know. soromir added a watcher for Cyrus IMAP: soromir. machniak added a project to T2280: Problem moving mailboxes between different backends in a murder environment : Cyrus IMAP. 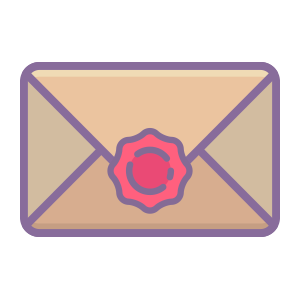 Robert_Selk added a comment to T1457: a manual sync (sync_client -u) on the active backend node removes the DELETED folder of the mailbox on passive node..
machniak closed T1465: [RFC5258] LIST return options are ignored as Resolved. The upstream issue has been fixed. vendel.colja closed T1376: update kolab cyrus from 2.5.8- to 2.5.9 as Resolved. vanmeeuwen closed T1416: partition handling issues in cyrus backend as Wontfix. This ticket is superseded by the new Bifrost#T9079 ticket. machniak added a project to T1457: a manual sync (sync_client -u) on the active backend node removes the DELETED folder of the mailbox on passive node. : Cyrus IMAP. machniak added a project to T1416: partition handling issues in cyrus backend: Cyrus IMAP. vendel.colja updated subscribers of T1376: update kolab cyrus from 2.5.8- to 2.5.9.
vendel.colja added a comment to T1376: update kolab cyrus from 2.5.8- to 2.5.9.
would you like to change the status of this to some other Status than open? As far as I see now a kolab package for 2.5.9 exists right now. vendel.colja added a comment to T1519: roundcube delete other users items in published/subscribed folders with or without delete permissions in cyrus murder setup. I agree, looks like a cyrus ACL problem. The first MOVE "<f78gclud>" results in a "COPYUID" but needs to be rejected as the second one "<04c9c116>" is/was. machniak added a project to T1519: roundcube delete other users items in published/subscribed folders with or without delete permissions in cyrus murder setup: Cyrus IMAP. petersen raised the priority of T1374: Out of office message can´t handle umlauts in the subject from 60 to High. machniak created T1465: [RFC5258] LIST return options are ignored. machniak added a comment to T1374: Out of office message can´t handle umlauts in the subject. "the implementation" here is cyrus. vendel.colja added a comment to T1374: Out of office message can´t handle umlauts in the subject. Since I'm not sure if roundcubemail does that already cyrus may not be the source of the umlauts problem. petersen added a project to T1374: Out of office message can´t handle umlauts in the subject: Kolab Enterprise 14. JBureau added projects to T1393: Unable to start cyradm with a clean kolab 16 installation on CentOS 7 (built 1511): Cyrus IMAP, Kolab 16.
petersen placed T1376: update kolab cyrus from 2.5.8- to 2.5.9 up for grabs. petersen raised the priority of T1376: update kolab cyrus from 2.5.8- to 2.5.9 from 40 to 60.
venc assigned T1376: update kolab cyrus from 2.5.8- to 2.5.9 to petersen. venc created T1376: update kolab cyrus from 2.5.8- to 2.5.9.
machniak added a project to T1374: Out of office message can´t handle umlauts in the subject: Cyrus IMAP. vanmeeuwen closed T1340: Accent error in subject of auto reply as Wontfix. This is an upstream Cyrus IMAP problem more so than a Kolab problem. machniak added a project to T1340: Accent error in subject of auto reply: Cyrus IMAP. vanmeeuwen closed T1222: cyrus imapd segfaults during mailbox transfer (XFER) as Resolved. adomaitis assigned T1222: cyrus imapd segfaults during mailbox transfer (XFER) to vanmeeuwen. vanmeeuwen closed T1143: Allow SPECIAL-USE and CREATE-SPECIAL-USE on Cyrus IMAP Frontends in Discrete Murder as Resolved. vanmeeuwen moved T1143: Allow SPECIAL-USE and CREATE-SPECIAL-USE on Cyrus IMAP Frontends in Discrete Murder from Backlog to Done on the Sprint 201612 board. vanmeeuwen created T1143: Allow SPECIAL-USE and CREATE-SPECIAL-USE on Cyrus IMAP Frontends in Discrete Murder. adomaitis added a comment to T1062: Cyrus IMAP Murder frontend proxies GETANNOTATION commands for GETMETADATA requests. So it looks like the '*' wildcard doesn't work in a mixed version murder environment (backend 2.5.6 and frontend 2.5.7) doesn't work. When all cyrus-imapd instances are of the same version - no more segfaults. vanmeeuwen added a comment to T1062: Cyrus IMAP Murder frontend proxies GETANNOTATION commands for GETMETADATA requests. I cannot reproduce this, but I'm running this on Santiago, and you are running Maipo. I can't confirm the issue with guam still displaying groupware folders from Cyrus Murder is fixed. I have murder cluster running with cyrus-imapd-2.5.6-8.1. Frontends and Backends have commented suppress_capabilities: METADATA config option. I have added yet another frontend cyrus-imapd-2.5.7-8.1 to the cluster (from Winterfel repositories). Guam service is running on port 9143 on this new machine as well. vanmeeuwen closed T1062: Cyrus IMAP Murder frontend proxies GETANNOTATION commands for GETMETADATA requests as Resolved. vanmeeuwen moved T1062: Cyrus IMAP Murder frontend proxies GETANNOTATION commands for GETMETADATA requests from Review to Done on the Sprint 201610 board. vanmeeuwen added a parent task for T1062: Cyrus IMAP Murder frontend proxies GETANNOTATION commands for GETMETADATA requests: T995: Run Guam in Beta. vanmeeuwen lowered the priority of T1061: Performance: Slim down size of IMAP METADATA responses from 60 to 20.